Home » 1900 Pedestal - Heating 3500 sq. ft.
1900 Pedestal - Heating 3500 sq. ft. 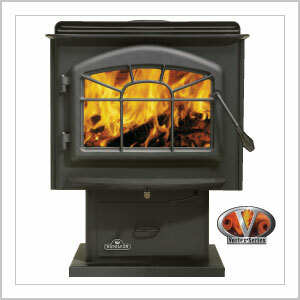 The 1900 wood stove constitute a wise investment for any type of home. The 1900 stove is shown in painted black finish with black web arched door. The 1900's upper firebox is lined with ceramic fiber baffles.